Did you think that yellow Steve is a myth? In fact, there are many different Steves that are painted in a certain color and this time the addon adds yellow type. What can I say about him? He is incredibly strong and aggressive, any creature on his way will turn into dust. 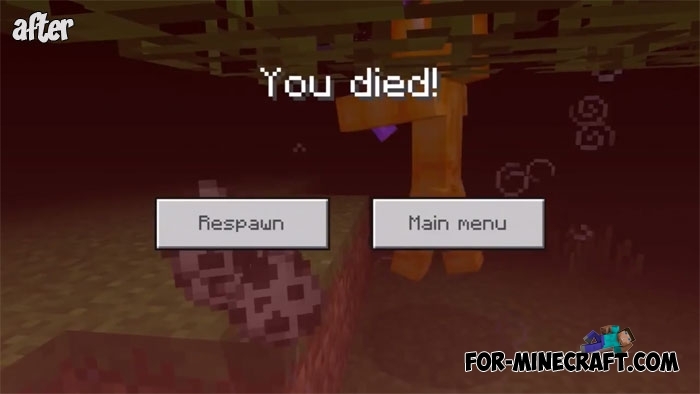 His sword can defeat any even the most powerful mob in Minecraft PE. Of course, you can never kill him in a fair fight one-on-one, but using different tricks, you have a chance to do it. Yellow Steve has one great superiority over other creatures in MC Bedrock, he has 1000 hp, which means almost immortality. Try to find him and look at his behavior. Also try to count the number of defeated mobs from his sword. Do not even try to hide on a high mountain, it's useless because yellow Steve is able to teleport..
How to install the Yellow Steve addon? 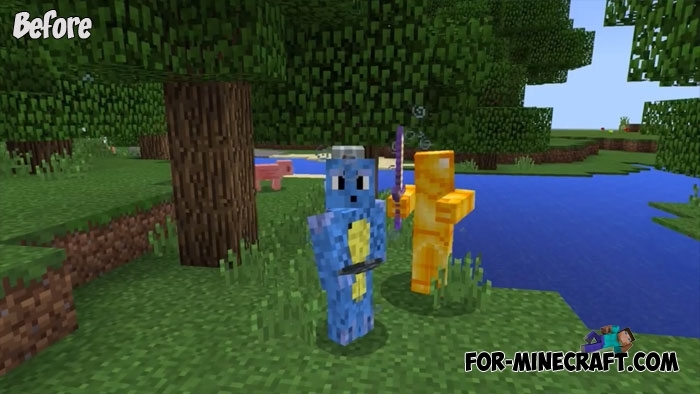 Myth creatures mod for Minecraft PE 1.0.0/0.17.0Myth creatures mod adds 4 new types of mobs that existed in ancient mythologies..